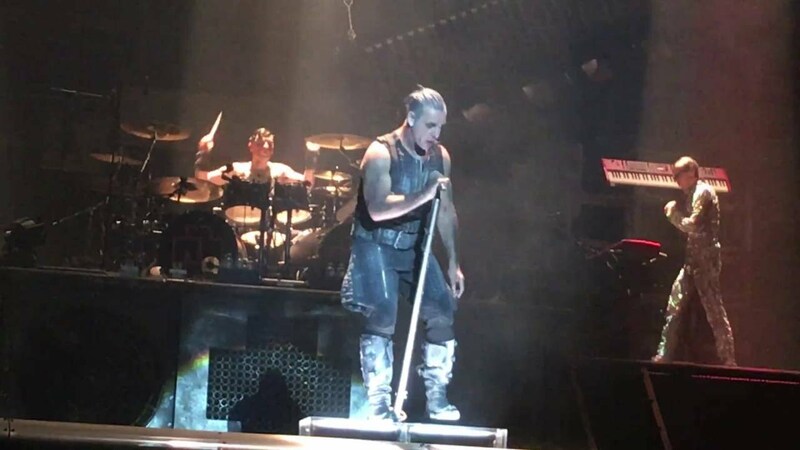 The name Till Lindemann is not strange to lovers of pyrotechnics as this multi-talented German singer has not only won the heart of his fans through his vocal strength but also through his pyrotechnic displays. Lindemann was born on 4th January 1963 in Leipzig (formerly in East Germany) to a father who was a children’s poet and a mother who worked for Norddeutscher Rundfunk as a journalist and writer until her retirement in 1992. Till grew up in the village of Wendisch-Rambow, alongside his younger sister Saskia. His family wasn’t a whole one, his parents lived apart for career reasons and got divorced when he (Lindemann) was still very young. He had to live with his father for a while but had to leave when their relationship became unhealthy. He attended a Sports school at the Empor Rostock Sports Club, before attending a boarding school. While in Sports school, he participated in the European Junior Swimming Championships in Florence. He finished 11th in the 1500m freestyle and seventh in the 400 m freestyle, with this record, he was shortlisted to go to 1980 Olympics in Moscow. He was, however, forced to leave the sport due to an injury. In an interview, Lindemann revealed that he never liked the sports school but had no willpower to object at the time as he was only a child. Before settling for a career in music, Lindemann worked as a basket weaver, an apprentice carpenter, a gallery technician, and even a peat cutter. He first began his career in music by playing the drums for a Schwerin-based experimental rock band First Arsch in 1986, after leaving First Arsh, he played for a punk band called Feeling B – the band was formerly owned by Rammstein members which included Christoph Schneider, Christian Lorenz and Paul H. Landers. Soon enough, he began writing and developing his own lyrics. In 1994, the band entered and won a contest in Berlin that allowed them to record a four track demo professionally. Due to the group’s use of over-the-top pyrotechnics usually done by Lindemann, he had to relocate to Berlin during the band’s early days. Following an incident that occurred in 1996 that caused a section of the band’s set to burn, Lindemann had to get a certificate in pyrotechnics so the band could perform with pyrotechnics more professionally and safely than it had previously. With pyrotechnics, you can be sure of burns and Till has so gotten used to getting burned during performances that it is almost nothing to him. In 2005, he sustained a serious knee injury on stage During a performance in Sweden when keyboardist Flake accidentally ran into him while riding a Segway PT. As a result of the injury, several of their tour schedules in Asia had to be cancelled. In the same year, five of their albums received platinum awards and the band also became a recipient of the World Sales Awards for selling over 10 million copies worldwide. The one unique performance that got The Till Hammer title was one where he bends his knees, beats his thigh with a fist in a hammering motion while turning his head from side to side. 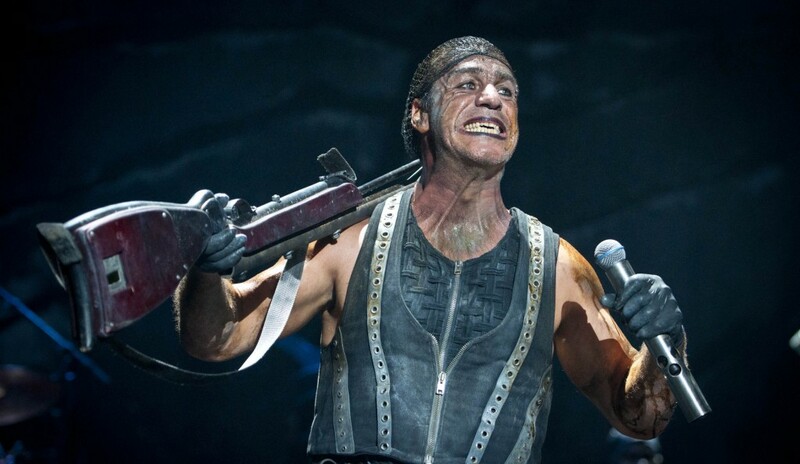 In 2011, Lindemann was listed at number 50 of the 50 greatest metal frontmen of all time by Roadrunner Records. Two years later, (2013), his book, In stillen Nächten was published. Asides his singing career, Till has appeared in a few movies like French romantic drama film Pola X, Amundsen der Pinguin and Vinzent. Lindemann has been a truly busy man with his performance with the band and the many stunts for which he has earned a whopping net worth of $4 million. Till has two daughters – Nele and Marie Louise. Nele was born in 1985 from his a relationship with an unknown woman. Lindemann and Nele’s mother were said to have been married after she (Nele) was born, but they got divorced almost as quickly as they got married and that he (Till) had to raised Nele alone for seven years, until his work with Rammstein became so demanding he left her in her mother’s care. Lindemann is a grandfather to Little Fritz – a son from his daughter Nele. His second daughter Marie Louise was born in 1993 with ex-wife Anja Köseling. He has been in a relationship with Sophia Thomalla, Marina Drujko and is recently rumored to have hooked up with Alycen Rowse. Till Lindemann is 6ft 0.5in (184 cm) tall and weighs about 200-220 lbs (90-100 kg).